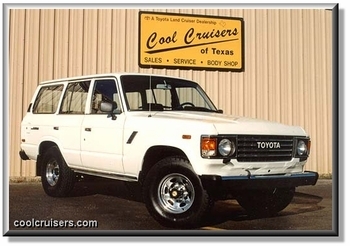 Below are a few good questions to ask Seller when Buying an FJ60 or FJ62. mileage? Is mileage correct and certifiable? origin of vehicle (states titled in)? why are you selling vehicle? ever hit, wrecked, flooded or had paint work done? condition of chrome bumpers? end caps damaged? original motor? motor burn any oil? Compression Test Results available? motor ever overheated? radiator replaced? water pump? thermostat? belts? clutch ever replaced? does it slip? does 4-wheel drive work properly? FJ62, Does transmission shift smoothly? Have you ever had any automatic transmission problems or repairs made? Is transmission gear shifter tight? any power steering problems? leaks? FJ60 carburetor rebuilt or replaced? original carb? factory emissions all present? Are factory emissions functioning? Ever replaced smog pump? Have past emission test results? 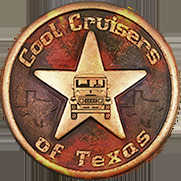 also, does carb (FJ60) cooling fan work? original wiring intact? Any cutting or splicing of wires? any custome wiring? bearing packed? transmission / transfer case serviced? four wheel drive properly functioning? any noises in drivetrain? bearing noise? brakes last serviced and repairs made? do all the lights/blinkers/flashers work? any rust? around rain gutter? inside lower tailgate? wheel wells? rust on underbody? motor oil leaks / seal leaks? Rear main seal leaking? seat / upholstery condition? color? carpet condition? cargo carpet condition? rear wheel well cover condition (cuts)? headliner condition? note: '81 / '82 / '83 models often have headliners shrinking and pulling from inside window seals. seat belts fully retract? FJ62 had rear seat shoulder harnesses starting in 1989.
wheels, original chrome? spare tire wheel chrome? rusted center caps? tire condition? original or aftermarket stereo? additional speaker? their location? what upgrades have been made from stock? were upgrades/repairs done by a professional? Who? the driving habits/style of current owner. Is it driven like a "Cruiser" (low speeds) or driven hard (high hiway speeds ~ 70 mph plus).